It was Priyanka Chopra 's father's fifth death anniversary and the actress shared an emotional video remembering her childhood days with her father. Bollywood actress Priyanka Chopra shared images and short footages on her father Ashok Chopra's fifth death anniversary on Sunday, with an emotional message saying that she misses him. The actress often shares emotional posts about him on Twitter and Instagram. On Sunday, she posted the images and videos of her father on Instagram with a caption that read: "Five years today. Miss you dad." It was her father's fifth death anniversary and the actress got emotional. 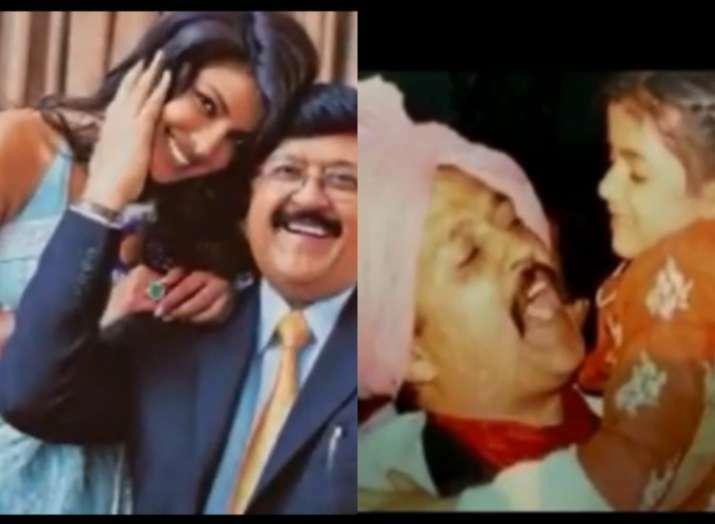 In the video, PeeCee shares glimpses of her childhood with her father and even revealed how lively and dynamic his father was. Ashok Chopra was admitted to hospital 17 days before losing his battle with cancer. He was at the terminal stage of the disease. He was a doctor and had retired from the army in 1997 as a lieutenant colonel. Priyanka has often expressed that her father's death was a big blow and that she still has not come to terms with it. On the work front, Priyanka's American TV series "Quantico" is facing ire from her fans, who believe that the latest episode aired in the US on June 1 portrayed Indian nationalists as terrorists who were trying to frame Pakistan in a terror plot, even though it is a fiction series. Not just the makers but Priyanka Chopra has herself apologised to the fans for hurting their sentiments.